Nyco are the sole European producer of aviation lubricants and experts in the development of synthetic ester-base stocks. With a comprehensive range of aviation lubricants with international approvals for Armed forces (Air, Sea, Land), Oil & Gas, Power generation,MROs, OEMs, Airlines & Aircraft manufacturers. Click here to view the full range of Nyco products available from Silmid. It may be used as a constituent in certain types of rust preventive compounds. Comprehensive solutions for high-performance, responsible technologies. includes high performance greases designed to withstand extreme operating conditions, high temperatures, speed, or high pressure; as well as salty, humid or corrosive environments. HYDRAUNYCOIL® includes high performance mineral and synthetic fluids for hydraulic systems at high and low temperature. Our fluids have outstanding properties regarding resistance to fire and extreme pressure, anti-corrosion and biodegradability. 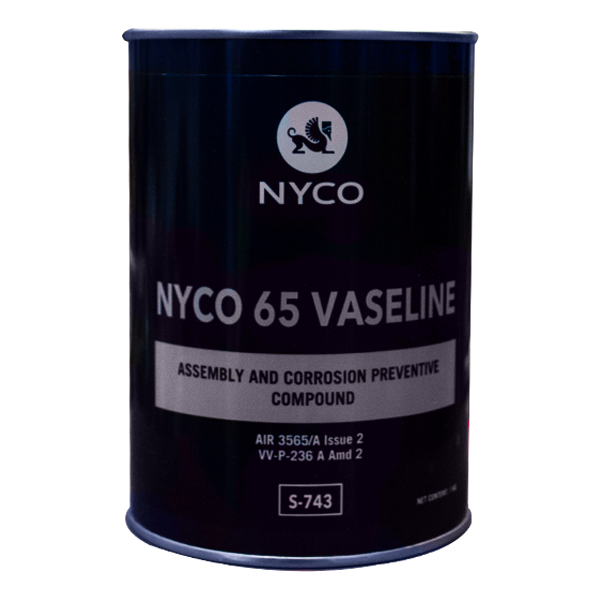 NYCO lubricants have brought 60 years of military experience to the service of civil aviation.